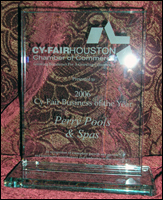 Because we are committed to offering only the highest quality products, Perry Pools is proud to be named “The Top Pool Builder” by numerous clients and businesses throughout Northwest Houston. Creating “Reflections of Elegance,” we ensure that attention is given to the details our customers deem important so your pool and outdoor living experience is the paradise of your dreams. 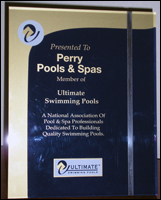 With over 36 years of experience, join the countless numbers of satisfied customers who have experienced the efficiency, quality and beauty that can only be experienced by a Perry pool owner. 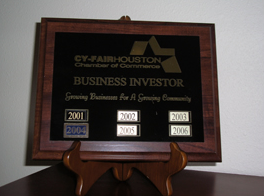 We are committed to offering only the highest quality products. Turn your backyard into the experience of a lifetime. Enjoy grilling for your family in your outdoor kitchen, entertaining others under your beautiful cover or relaxing around your firepit with friends as you enjoy an atmosphere of elegance by your Perry Pool. 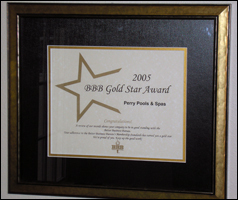 Perry Pools looks forward to partnering with you to make your backyard dreams come to life. Let Perry Pools know the special features you prefer while you enjoy collaborating with owner David Perry in the design of your dreams. Natural rock water falls, sheer descents, scuppers, firebowls, bubblers, fan sprays and even a wall of rain are just some of the beautiful additions you may choose to include with your Perry Pool. Perry Pools has subcontracted their landscaping to the same contractor for over 15 years. Surround your pool with extensions of elegance, color and beauty when you include state of the art landscaping. Include outdoor and accent lighting to savor the mood and experience that awaits you in your backyard paradise and Perry Pool.